The idea of court is very exciting when it’s on TV. When you’re sitting in that room, hoping that you win, but worried that you won’t, it’s painful. Not only is it a real blow to the nerves, it can obliterate your finances, regardless of whether you win the case or not. When we are involved in or run a business, there is always the chance that a commercial dispute can arise. There are a number of ways this could happen, from issues with your partner or shareholders, poorly defined contracts, lack of payments to other companies, and more. The risk is always there and unfortunately, many of us, at one point or another, get caught up in such an affair which has the potential to break you and your business. There are, however, some ways in which you can minimize your expenses when involved in a commercial dispute. Though many of them are proactive, others can be used at other points in the game. Before you do anything, prepare the paperwork. Whether you are planning to hire someone, enter into an agreement with another company, order something wholesale, or even start your business from scratch. Unless you define every scenario and how to deal with it, it can become a pain point later on in the litigation process. It can seem a little fatalistic at first, but you will get used to covering your bases, and you’ll see that others will respect you for it. It might seem like an expensive endeavor, but you’ll find value in hiring commercial litigation lawyers who sit down with their clients to determine their objectives before anything negative happens. They can advise you on proactive measure and will already have a relationship with you if there was something they needed to be actively involved in. If there ever comes a point when the dispute can be resolved without legal representation, it’s often a better option. In cases when relationships dissolve or contracts are not being kept, trying to be transparent about your situation and clear with communication can really save you some time, grief, and money. However, this is not an option for many. It’s always worth a try, though, as attempts at communication and making the peace can be useful in court if it should end there. Once at the point that legal intervention is needed, try hitting a mediation room rather than a court room. You’ll avoid court filing fees, and instead pay significantly less for a professional mediator who can act as judge. You should still seek legal advice before or while going into a mediation session, however, it’s not mandatory like it is in court if you are looking to have a fighting chance. If you own a small business, chances are that you qualify for limited free legal advice at certain agencies or government locations. In attempts to stimulate the economy and assist small businesses, you’ll find that there are often free legal clinics being held during which you can attend seminars, ask questions, and seek advice, even if your business budget is low. Though this help often does not extend as far as to represent you in court, they can be helpful in preventing situations like this in the first place. No one likes thinking about what things would cost if everything went south, however it’s a reality we should all consider, especially when in a leadership or ownership role in a business. Real estate has recently become an investor’s darling again, promising gains in this rising market. However, most underestimate the full financial implications that come with buying property, especially if this is your first house or else first investment property. Just because you have saved up for a down payment doesn’t mean that you are financially primed to step into the real estate market. Some banks make it sound easy: all you do is ask for a mortgage and you have one. In the end, it’s not that simple. Depending on your income, the status of other loans, the size of the down payment, and the assessed value of the house you are interested in buying, this first step might just become your greatest hurdle. This can become an even greater problem in markets where the competition is fierce and many buyers put in competing offers, often without a condition for financing. This can leave you in a difficult financial and legal situation, in which many turn to trusted private mortgage lenders that can provide quick funding solutions in time of need. Property taxes were an expense you never directly had to deal with when living at your parents’ house or in a rental. However, they can be quite the annual expense depending on where you live and the size and nature of your property. Make note of last year’s tax amount when looking through the listings because sometimes it can become a factor which breaks the budget. Many people buy houses because it makes fiscal sense to them, but others also consider it as a chance to gain independence. No more asking the landlord to switch out the carpets for wood flooring, or waiting to no end for an updated kitchen. Rather, you can do whatever you’d like to the house (assuming it’s common sense), offering a free pass for those who like to renovate, redecorate, or putter around in the garden. However, even those who don’t like these things will most likely end up having to pay to have them done. That’s because when you buy a property, it’s your responsibility to maintain it, including replacing damaged or outdated aspects like the roof, the boiler, or whatever else needs to be addressed. When calculating the true cost of a home, remember to include the money you will be spending annually on these projects. Even if you plan on doing them yourself, the cost of materials and initial investment into tools like lawnmowers, saws, etc. can add up to a small fortune. You know how when you shop online, something can seem like an awesome deal, but by the time you make it to the check out, you realize that it was a waste of time? This is a reality when buying a home, however, it’s not as easy to just closing the browser and moving on with your life. The initial cost of the home doesn’t include things like land transfer tax or legal fees, which combined can be more than 2% of the purchase price. It doesn’t seem like that much when you add it to the total cost, but remember it’s a cost you can’t put on the mortgage and need to have available right away. Depending on whether you will be living on the property or whether you will be renting it out to tenants, you will have to either partially or completely furnish the place. This could include buying all-new appliances, furniture, window coverings, trimmings, décor elements, etc. The purchasing of all these items can sometimes be as high as the cost of the down payment you just put down. Therefore, either keep some money in reserve for this exact reason, or else look for an opportunity to purchase a furnished house within your price point. Of course, there are more financial implications when it comes to buying a home, like paying utilities, insurance, and potentially condo fees, however, those might seem more obvious than the potentially larger-than-expected mortgage, property taxes, maintenance costs, closing fees, and expensive “nesting”. This usually does not detract from the attractiveness of real estate investing, however, it can affect the timing of a less-experienced investor. It’s important to be financially prepared for the entirety of the costs and still maintain cash flow throughout the process, or else buying a home can become a very painful experience. We hate planning for the worst because it makes us feel like inviting it to happen. The truth is, we have no idea what the future holds, but planning for the worst can lessen the burden in the event that it does happen. Insurance is one of those things that we purchase but don’t really notice until we need it. After all, it’s not like buying a new car or home, you can’t see, feel, or touch it. This is another reason why many people don’t see the need in being adequately insured. However, insurance of all kinds are vital, and below is an explanation of the various types of insurance policies you need to have in order to have peace of mind. Most locales have regulations and laws that require drivers to be insured, and in some cases they even have minimum requirements as well. Regardless, there are those of us that have cheap cars that are merely a means of getting us from here to there. In those instances people often wonder why auto insurance is so important for them. The answer is that there is a ton of liability protection built into auto insurance. If you get into an accident and you are at-fault, that could lead to serious lawsuits and monetary damages. Often times your insurance company will handle and pay these damages on your behalf, but only if you are properly and adequately insured. Some policies even have clauses that allow for free rentals while your car is being prepared, and a secondary health policy to cover whatever you primary insurance doesn’t in the even you are injured. Nobody likes the thought of dying, and this is the type of insurance we all hope is never needed. Still, if you have a family that relies on you for their financial well-being it is a type of insurance that simply cannot be ignored. It is also the type of insurance you don’t get a second chance to learn your lesson. If you are the sole income producer in the household then you have to think about how much money your family will need to live without you. That includes the cost of raising children, possibly paying for college costs, and anything else you had planned on covering from them later in life. Health coverage is a very polarizing topic. With the recent elections you can see just how much of a heated debate it can turn into. Regardless of which side of the fence you are on, I think we can all agree that having some form of health insurance is important! While we hope medical emergencies are few and far between, they can and do happen. Out-of-pocket medical expenses can be extraordinary for uninsured. Just a night in the hospital could cost you thousands of dollars. That’s why it’s not only important to have health insurance, but to make sure that it insures you well enough that you won’t go broke and into debt in event you have a significant health concern. Sometimes it’s difficult to keep in mind that a traveling vacation is a luxury, not a right. Though time off from work is something mandated by government and required for the healthy functioning of employees, going away for a week or more is not always something that we can do. There is a plethora of reasons for this, from responsibilities to your family, difficult to manage travel logistics, health restrictions, an inability to relax outside of home, to the most popular reason: a restrictive budget. Going away on vacation can quickly add up to be a huge expense, as you need to cover the cost of travel, accommodation, food, drinks, entertainment, and more. That’s why more and more people are opting to vacation at home, enjoying a “staycation”, instead than blowing their budget on an expensive trip to a different city or country. It’s near impossible to be at home and not want to do at least some chores like deep cleaning the carpets, running the laundry, or restocking the pantry; all things you would never do if you were away on vacation. Embrace the need and dedicate one day to getting these errands out of the way so that you can relax the rest of the time. If anything else comes up during the week, defer it until later, as this is your vacation time and you need to take this opportunity to self-care and let loose. Besides, it’s normal that once you come back from a trip there will be a couple of loads of laundry to do and some unpacking going on. This way, you’re getting it done at the beginning so you can go back to work rested, not tired from the flight or drive home coupled with a night of unpacking. Whether you live in a small town or a bustling city, there’s always something to do. Whether it means visiting the library and taking a couple of interesting books out, seeing the new exhibit at the local gallery or having brunch at a diner you always wanted to try, now is your chance. Don’t limit yourself with business hours and take this opportunity to see your home town through the eyes of a tourist or a guest. Alternately, plan a series of day trips within driving distance of home. Though you might spend a bit on fuel, you can always pack a picnic, and remember that you don’t have to get a hotel! The point of vacation is that it gives your body and your mind a chance to rebound from the stresses of the everyday. Though some require an exodus from home to do that, many find that actually staying at home eliminates a lot of other stressors like finalizing travel arrangements, booking everything, making reservations, planning itineraries, and dealing with the credit card bill once it comes in. But other than just not having those additional worries, why not show yourself an especially good time? Engage in your favorite hobbies, drop in on some yoga classes or get a manicure pedicure that you otherwise wouldn’t treat yourself to. Remember, you’re saving money by not going away, so take some of those savings and apply them directly to your happiness and well-being. Find a beautiful retreat where spa, body, and facial treatment are offered by a team of highly trained and experienced therapists who know exactly what you need in order to recharge your “batteries” to 100%. When we are rushing between work, errands, responsibilities, and more, it’s easy to neglect relationships with those who we cherish. Take this time to schedule a couple of lunch dates with friends, go out for drinks in the evenings, and maybe meet someone new at a mixer which you would otherwise write off because you need to get up early the next day. Since you have a flexible schedule, it makes it easier to coordinate with friends who otherwise are also busy with everyday things. You won’t regret setting some time apart for rekindling and maintaining relationships during your vacation time. Most importantly, if you don’t want to feel like the whole thing zipped by and you did nothing at all, make a sort of plan or guideline of things that you want to do during your staycation. It will keep you motivated to stay busy doing things you enjoy and creating memories you will be able to recount when you’re back at your desk working. Staycationing is an easy way to keep your budget on track. However, remember to make the most of your time off from work and that you return rested, happy, and satisfied with how you spent your vacation. You can run, but you can’t hide from the onslaught of weight loss marketing campaigns. You see them on TV (even on the cooking channel! ), you hear them on the radio, and they even pop up in our Facebook and Instagram feeds! The truth is that a great segment of the North American population is unfortunately overweight. This affects our health, our self-esteem, and our relationships in a negative way. That’s exactly what all those ads are reminding us of, whether or not we want to hear it. However, before you fall for the first marketing campaign that hits you, remember that in most cases, the main motivation behind these companies is to make money! So before you stock your weight-loss arsenal with detox teas, belly wraps, and a ton of supplements, reflect on what you actually need to attain your goals. Though there are some items of dubious effectiveness, there are others which happen to be essentials to really getting to a place you want to be within the timeframe you imagined. All that, and with your health and wallet intact. There’s no way around it, in order to lose weight, you need to change your diet. The best place to start is in a medical professional’s office, whether that’s your family doctor, a holistic wellness specialist, nutritionist, or dietician. Based on your current diet and your state of health, they will be able to put together anything from loose recommendations to a very specific meal plan for you to follow. Though the quality of the plan itself is very important, it’s even more important that you follow it as closely as possible to see results. As soon as you start changing your lifestyle, there’s one very important shopping trip you will need to do: the initial grocery haul. Before you go, throw out or give away all the food that has been blacklisted: simple carbs, salty junk food, canned meals, sugary treats, etc. If you don’t have it at home, there’s a much lesser chance that you will be tempted and end up eating something you shouldn’t. Then pack your reusable shopping bags and hit the store, buying fresh, nutritious items that you will need to make your new eating habits come to life. We’re not saying you have to go out and get the newest FitBit, but it’s important to track progress throughout your journey. Everyone has their own favorite way of doing it, depending on their specific goals, but regular weigh-ins, measurement taking, and picture snapping are popular options. Obviously, there is also a plethora of tech-y options from mobile applications to upscale pedometers, but remember that they are not essential to your losing weight. Track your progress as you like at regular intervals, whether weekly, biweekly, or monthly, and it will keep your motivation up! Many weight-loss diets are focused around getting your protein level up while decreasing your intake of carbs, sugars, and bad fats. Since cooking high-protein meals can get expensive and laborious, the market has evolved to offer a range of protein powders and supplements to mix into your meals or drink as shakes. As calorie-restricted diets can often limit your nutritional needs, many professionals will recommend using protein products and nutritional supplements to assist you in your weight loss program. Just remember to look at the quality of the products you are buying so that you are getting the best value for your money. Losing weight can be a very important and significant accomplishments in our lives. It teaches us about determination, health, and discipline while putting us on a journey of a lifetime! Many of us think of our retirement as an extended vacation: a time to travel, relax, and spend time with the ones we love. However, it takes a lot of time and foresight to plan a retirement like that. Budgeting expenses during our working years and putting money away in an account is just the minimum which most of us have to do to “get by” after retirement. If you really want to enjoy yourself and “live it up”, it’s essential that you plan not only for the good times, like for a river cruise down the Seine, but also for the bad times, like when your furnace and car break down in the same week. In order to live your retirement dream, you have to financially plan for a retirement nightmare in which many “what-ifs” come to life. You have been paying your taxes for all these years, and now you finally get the chance to benefit from them, right? Sort-of. Though you will get a check every month if you had been paying into the government’s retirement fund, and an income based on what you have saved, that total gets taxed as well! That’s right, the money you get from tax-payers gets taxed again. So, if you have squirrelled enough away to have a comfortable living during your retirement years, remember that it will be taxed and you might end up with less than you initially thought. No one plans to have a stroke or to develop a condition in which they can no longer live at home. Many people plan to live in their homes or apartments for the rest of their lives, ignoring the fact that there is a large probability that there will come a point in time when they will have to move to a facility in which they can have more support. Unfortunately, these places are often quite expensive, so if you don’t want to burden your family with your life costs, save enough that if the need arises, you can pay your own “rent”. Right before you retired, you bought a new, good-quality car which will last you ’til the end of your days. That’s just wishful thinking. On top of maintenance and fuel costs, which are constantly on the rise, there will come a time when there will be nothing to salvage of your vehicle. Did you financially plan for that? Or for the possibility that you won’t be able to drive and will come to rely on taxis or public transportation to get places? Nobody wants to think about death, but it’s as much of a part of life as birth is. Funerals are expensive and having to cover the cost of your spouses and/or your own final arrangements can be overwhelming at a time when you aren’t making a real income. Chose a funeral home that helps families commemorate the lives of their loved ones, respecting their wishes, faith, and budget, and research their options regarding pre-arrangements. This might be something you invest in while still working so that you can lock in the price as early as possible. How can you say no to your child, especially when this child is having a hard time with life and has just found itself at its mercy? Many adult children run into financial situations in which they turn to their retired parents for assistance, mostly in the form of a payout or a loan. No one plans for these things to happen, but as you are setting aside money for retirement, it’s something that you should expect at some point or another. If you purchased or have the benefits of having health insurance, you are one of the lucky ones. But even you can fall prey to issues which are not covered by your policy, whether that is dental work, or a fitting for a prosthesis. These uninsured health costs can mount quite quickly, so if possible, put some money aside monthly for this kind of situation. Many of those putting money away for their retirement are planning for the future based on today’s economy and today’s costs. Unfortunately, we can tell by looking at the experiences of our elders that cost of living goes up, and there’s no way around it. Many financial advisors agree that saving for today’s conditions instead of future ones is a major mistake that many of their senior clients make. Retirement can be everything that you wanted it to be, but first you need to plan for it to be devoid of huge and unexpected costs you forgot to plan for. Online education has many advantages over traditional colleges many people do not consider when they decide to pursue post graduate studies. One of these advantages is the lower cost of online education. But getting an online degree is smart from a financial standpoint for a variety of reasons. Here are just a few of them. One of the major reasons many people choose online college is because of the added flexibility it offers. Online college is very popular amongst medical students, and one of the reasons many medical majors choose online education is to specialize their bachelor’s degree. Getting a master of public health online while you maintain your current position is easy, depending on which type of course you get. For instance, if you go for an online MPH degree through a college that allows asynchronous attendance, you’ll be able to log in and access your study material whenever you want without having to check in with a live teacher. This is something that is very important to know before you choose a college since many online institutions do not allow asynchronous studying and require that you log on at certain fixed times during the day. Another reason why many people choose to go online is because of the lower costs that are usually associated with getting an online degree. In addition to tuition, students save on study materials which are delivered online, transportation and other student fees that are common at many colleges such as usage of gyms, wellness centers and computer labs for instance. Yes, while tuition is generally lower at online schools, it is not always the case. A really prestigious online university might cost more than community college, for instance, but on average, tuition costs are generally lower. Also, many colleges have started accepting credits from massive open online courses, which are almost completely free of charge for students. Another reason why online college makes so much sense from a financial standpoint is that it allows students to pursue higher positions without missing a step. In many cases, jobs within a company might be open to people with a master’s degree or a doctorate, but if you’re stuck with a bachelor’s degree in the same concentration, this might be extremely frustrating. Pursuing an online education will definitely further your chances for advancement in the future. As you can see, there are far more benefits to going for an online course than meets the eye. In addition to being flexible, online courses allow you to save on transportation, study materials and many other costs associated with post graduate studies. But what’s even better is that it will open a whole new world of possibilities for you in the future. So if you were still on the fence about online education, you should definitely give it a closer look to see if it is the right choice for you. Sending files to the cloud is easy as pie. Simply hit the right save button, and the information gets uploaded. But is that file secure? And do you have direct knowledge that it’s secure? If not, you may be transmitting files that anyone can access with the right equipment. And if that’s the case, it’s nothing for a dedicated hacker to cause a security breach. 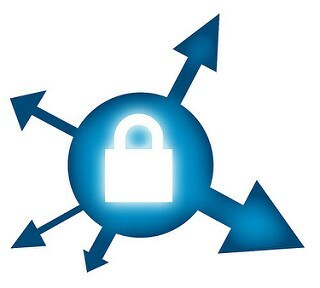 Using a cloud access security broker, or CASB, eliminates the possibility that information gets into the wrong hands. Here are three reasons why more companies are moving to the CASB to transmit files to the cloud. CASBs come in two forms: on premises or app-based. Files that get sent to the CASB are first encrypted, then transmitted to the cloud storage. This creates two levels of security: one layer is created when the file is encrypted, then more encryption goes on top when the file is transmitted through the HTTPS protocol. An end user will never know that the file was encrypted prior to and during transmission as they have the correct keys to decrypt the file. Someone who doesn’t have the right keys can still download the file, but won’t be able to unlock it as they don’t have the proper keys. Data breaches expose a company as being careless and sloppy with customer data. It’s not an image any corporation wants to have, but the fact that it didn’t put the effort into securing data speaks volumes. The CASB makes transmission of sensitive data practically foolproof. There’s no need to perform tedious processes before getting the files ready to send. All a business has to do with a CASB is designate certain people to transmit the files according to a schedule. It’s simple when it comes down to it, and the worry of data theft is all but eliminated when using a CASB. Customers can stop wondering if their data is at risk every time they patronize the business. HIPAA is a set of federal laws that apply to physicians and how they handle their patient data. The law was enacted to ensure that patient health information was kept out of harm’s way. Since the law was enacted, it’s been updated several times to reflect changes in technology. One change was to create guidelines on how patient information was to be stored electronically. Physicians are now required to use electronic health records, but they can use the cloud to store data instead of keeping a server room on site. A CASB keeps electronic health records locked down tight and reduces the potential for a breach to almost nothing. Keeping files secure needs to be priority number one for any business that has sensitive customer or proprietary information. Using a CASB makes it easy to lock files down hard, and they’re easy for anyone to use while offering peace of mind for all involved.